As the use of “big data” and AI come into the mix, machine translation gets better and better with each passing year. When you consider just how far we’ve come in one decade, it’s no wonder that many believe that a machine translation can give you a “good enough” first run, and then with the help of a native speaker editor, you can clean it up into something usable. While this may be somewhat true in some language pairs — between Latin or Germanic languages, for example — where the source and target languages share a common base,1 this is a dangerously incorrect assumption for drastically different languages, such as English and Japanese. The problem gets even worse when you’re no longer dealing with clearly-written and unambiguous subjects (like technical specifications or instruction manuals) and move on into creative language expression, like what you see in novels, press releases, manga, and in movies. Machine translation doesn’t know to seek more context, such as from a previous sentence, a character bio later in the book, or even the art drawn on the manga page, and translates things literally. No matter how good the intentions of our native speaking editor may be, it’s easy for them to be tricked by a “false positive” — or a translation that sounds correct, but misses the nuance of the original — and further compound mistakes made by Google. もっとはやくおこしてよっ Please wake me up soon. Don’t let me sleep in so late! ママのバカ Mommy’s stupid. This is all your fault, mom. いってきまぁ～す I’m leaving. I’m ooooff! あたし月野うさぎ I, Tsukino Usagi I’m Usagi Tsukino. For something as relatively simple as these few lines, you’d figure that Google Translate would have a pretty decent success rate. As I mentioned, though, where machine translation goes wrong is it really lacks context, something showcased really well in the first two lines. Literally, Usagi does say that her mother is stupid. 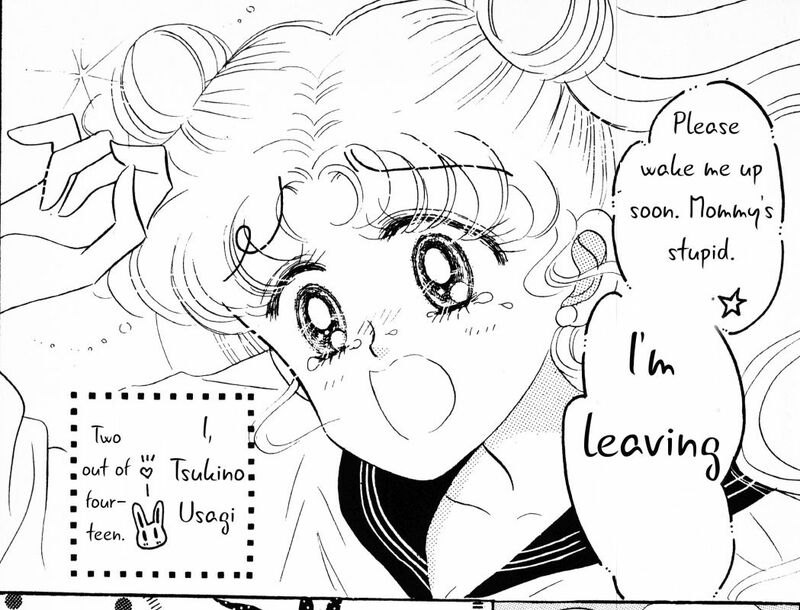 But in context, Usagi’s saying that her being late to school is the result of a (stupid) mistake made by her mother. The age and year in school is another interesting line that I wouldn’t have imagined causing problems for a machine translation, but it looks like Google parsed it as one sentence, rather than two things. All right, let’s take a look at something a bit more involved! Umino: 有名ですよ！ It’s famous! She’s famous! Umino: ちまたをにぎわしてるセーラー服の正義の味方！ A friend of justice of a sailor uniform that is embracing chirimas! She’s the sailor-suited ally of justice that everyone’s talking about! Umino: じつは警視庁の特別捜査官ってウワサが Actually, the police investigators are rumors There’s a rumor going around that she’s actually a special investigator for the police. Usagi: ふーん　そんなのがあらわれたの Hmmm … such a thing appeared. Huh, I didn’t hear about that. Usagi: もう世紀末ね It is already the end of the century We live in exciting times, huh. The words we literally say are rarely exactly what we mean. For example, Usagi does literally say that “something like that [Sailor V] appeared,” but the implication is that this is new information to her. The same thing goes for the “end of the century” comment. 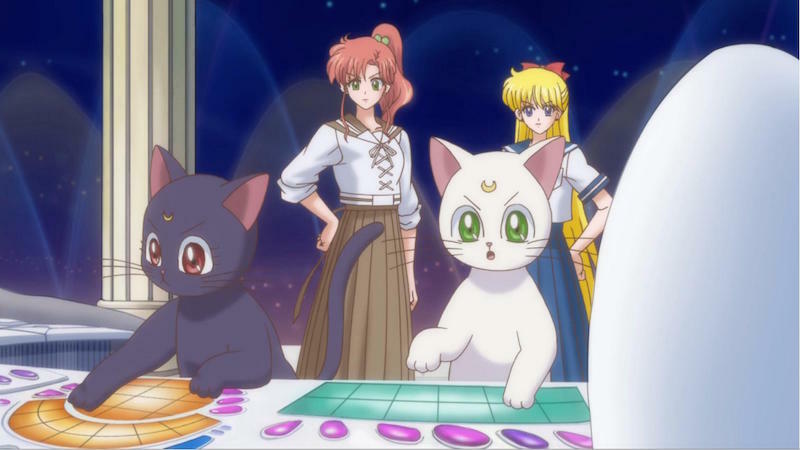 Usagi isn’t remarking that 1992 is coming up on the end of the millennium, but rather that the world is changing and exciting things are happening. The two lines in the middle are lost on Google due to how they’re written (spoken dialogue vs. proper written grammar) and the fact that Japanese rarely provides a subject — it’s generally implied. Before end this translation review, though, why don’t we look at how Google handles one of the things that Sailor Moon is so famous for: awesome intro dialogue that really gets you into the characters. Usagi: 月にかわっておしおきよ！！ Punishment on behalf of the month! ! In the name of the Moon, I will punish you! Ami: ヒトをあやつろうだなんて！ Why are you trying to treat humans! I can’t believe you, trying to control people! Ami: その知恵世のためヒトのために使うべきよ！ You should use it for human beings because of that wisdom world! You should use that knowledge for the world and for humanity! Ami: おしおきよ！水星パワーでアタマをひやしてあげる！ Punish! I will give you an atma with Mercury power! I will punish you! By the power of Mercury, I will cool your head! Rei: オンナをだますなんて！ナメないでいただきたいわ！ To deceive Onna! I’d like you to stop talking about me! I can’t believe you’d play with women like that! Don’t take us so lightly! Rei: 火星パワーでいかりの炎見せてさしあげる！ I will show you the flames of an ostrich with Mars power! By the power of Mars, I will show you the flames of my rage! Rei: ハイヒールでおしおきよ！ Punish with high heels! I will punish you with these heels! This is one of those “I don’t know if I should laugh or cry” moments in life. Honestly, I absolutely adore the Google translation in just how insane it truly is. Read also: Is Sailor Mars Secretly Buddhist? There are times where the machine translations are so brutally off the mark that there’s just no way that a native speaking editor can make sense of them. This isn’t even a “false positive” any more, but rather it’s so utterly wrong that you have no choice but to just make up entirely new dialogue, with zero connection to what the original Japanese was saying. At that point, are you really “translating” for your fellow fans, or are you writing “good-sounding dialogue” and making up your own story? Just to be absolutely clear, I don’t mean to discourage fans from doing their own translations. One of the things I love about the Sailor Moon community is the passion of the fans that make it thrive. In fact, the very first translation I ever worked on was a Card Captor Sakura doujinshi,3 and if I were to look back on it now, I’m sure the translation was downright awful awful. That said, I think it’s important for fans to understand the limitations that machine translations have. From the creator side, if you don’t have the language skills to translate something, try looking for people to team up with. I know from my own personal experience that translators need good editors, so there’s still a lot you can contribute without having Japanese skills. If you do use machine translation, you absolutely should tell the readers this. They deserve to know that the translation is a “best effort” interpretation, and should not be considered accurate. Anyway, I think I’ve rambled on long enough. What do you think about the fan translation scene? What do you think we could do to work together and provide fans with more accurate translations? I’d love to hear ideas! Finding more ways to bring accurate Sailor Moon content out of Japan is a subject I’m personally passionate about. 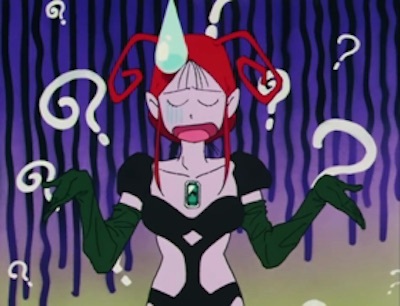 ← Is Princess Serenity Just Another of Sailor Moon’s Transformations? No surprise there. Apart from lacking high-level context, even top-grade neural networks with loads of training data don’t have much high-level judgement on what they’re doing, and adding more classifiers to try and make things more reliable is an uninspired solution to say the least. In this case, I bet you could make Google Translate spew quite different things just by changing small aspects of the original wording. That *really* shouldn’t happen! It shows the big problem with these approaches, as effective as they may be for a lot of use cases (and I use them a lot at work, they sure do their job very well!). This was a hilarious experiment! (Still lolling at how it managed to find the word ostrich in Mars’ speech.) You’re definitely preaching to the choir here. I let machines translate the official Twitter account for my private consumption and there are many days where I stare at it and realize I may as well not have bothered X’D. I’m curious though… Why not leave in the comment about it being the end of the century? I would think the implied meaning is the same in English? Maybe it’s not *quite* as strong an association as in Japanese but it sort of speaks to Usagi’s character being a bit superstitious sometimes as well, I think. You’d probably still have to use the suggestive “huh?” for it to sound right though… Anyways food for thought! 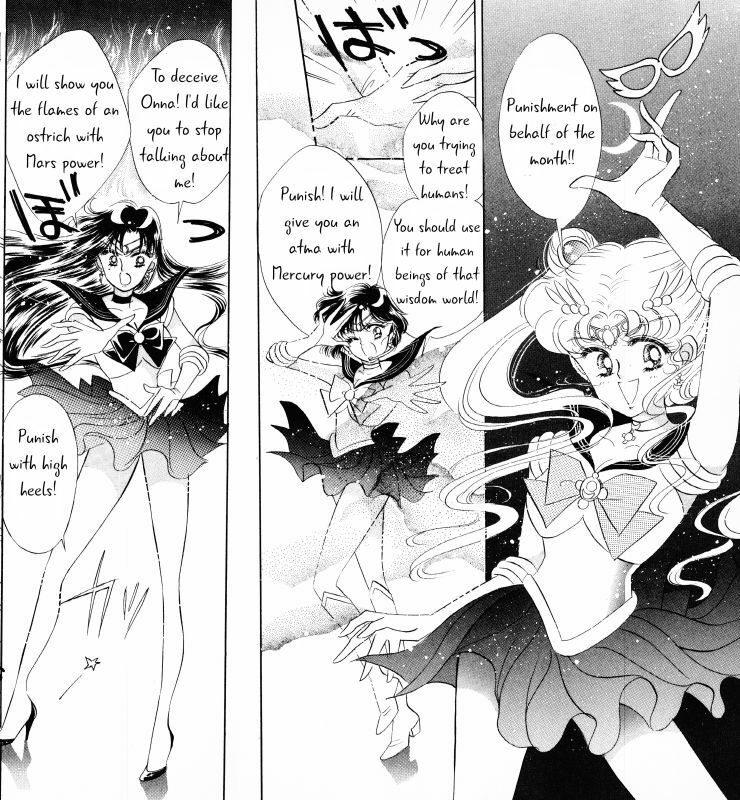 I guess for me, as a reader, I wouldn’t get what Usagi was trying to say if left at the “end of the century” remark. 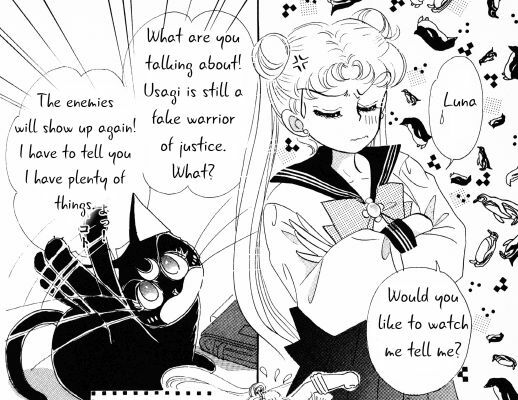 The connection between Umino’s comment about a sailor-suited warrior of justice and Usagi stating that the century is ending doesn’t really flow, but that’s definitely one of those issues I could see coming back in the editing phase! * Except with Google’s translations. Those are generally just flat out wrong. As a guy who is currently doing data science at uni, this was a very interesting read. This just goes to show that while machine learning CAN be useful for translating some things, in this case translation is better off left to humans.